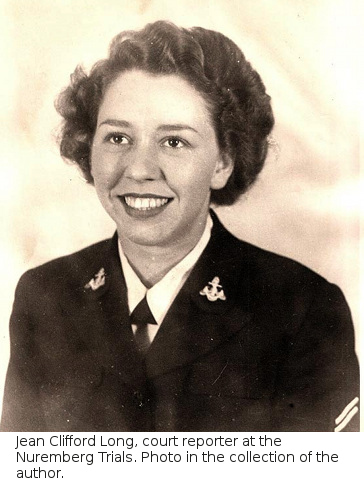 As you've done your family research have you come across a person who was affected by World War II? This time period was pivotal in the development of the world as we know it. Perhaps your grandfather served in World War II and was one of the soldiers that helped liberate the concentration camps in Europe. Or was a member of your family a survivor of a camp themselves? For many Japanese Americans there may be a story in the family of being confined to one of the internment camps within the United States. Survivors and liberators of World War II are dying every day. We need to take action now to see that their stories are preserved. Have You Asked to Hear Their Story? You may be hesitant to bring up what could be painful memories for the person. You may feel as though asking about the past could suddenly make them remember. Those memories are always with them and they may have been silent in the past simply because they haven't been asked. Or it may be that they fear you will not understand what they experienced. By asking your family member about their memories of these difficult times you give them an opportunity to find a sympathetic ear and for someone else to know what they have been through. Such a story may be difficult to hear, but the value in understanding the lives of our ancestors is incalculable. We are fortunate to have the opportunity to hear their story. Letting your family member know that you are interested and want to know more does not have to be a big deal. All this time they may not have shared these stories because they thought you did not care. This is your family. Tell them that you want to know what they experienced and you just want to listen. That you want to learn from their stories could be quite flattering to your older generation relatives. How to Begin? Educate Yourself. You need to learn as much as you can about the topic ahead of time. Being prepared to hear whatever your family member may share about their experience is critical. There are many great resources available on a number of these topics, but here are a few I recommend that have sample interview questions and a history of those who witnessed these challenging times. I recommend that you start with the background information before the war. Ask them to describe their life before World War II. Questions about who was part of the family, where they lived, and what the community was like will help you set the scene. Regardless of the focus your interviewee's experience, I recommend that you develop that list of questions in a logical and careful manner. As you progress into the more sensitive past of the interview you will want to adjust your questions based on what you hear. You may end up choosing not to ask some questions once you get into the interview. All the same, it's good to have a solid list of questions prepared, which will help you get started. Do you remember experiencing anti-Semitism? Did any of your family or friends leave the country? Where did they go? Were you forced to move to a ghetto? What was life like there? Were you sent to a work or concentration camp? What were the conditions there? When you were serving, what had you heard about the work and concentration camps? Did you believe what you'd heard? Which camp(s) did you help liberate? Were there nearby villages? Did they help the survivors? When you first came home, did you tell your family about what you saw there? Why or why not? How did the war make you feel about Germans? For those who may have experienced living in a Japanese internment camp you may want to learn more about their feelings about when Pearl Harbor was bombed. What happened when you were forced into the camp? Were you able to take much with you? What were conditions like in the camp? Was there medical care? School? Did you make any friendships in the camp? Were any of the guards sympathetic? How did you feel about America once the camps were dissolved? Were you able to go back to where you had lived before? 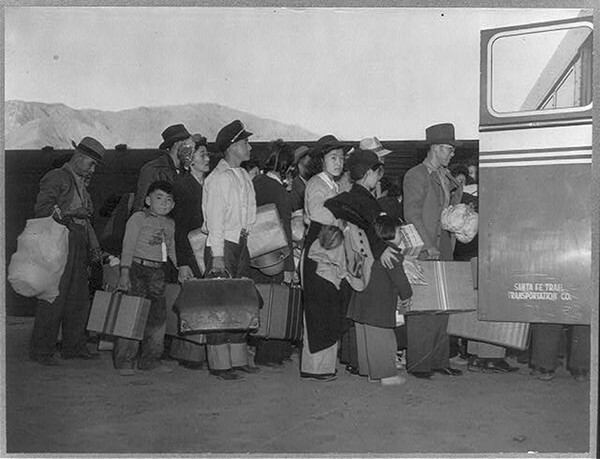 Japanese-Americans in California heading to an internment camp. Image courtesy Library of Congress. Start with basic questions and work to build trust. Ask them about the time leading up to the time period. This will help set the scene of what their lives were like then. Remember that the memories that they share are quite personal and traumatic. You also never know what may cause distress to your interviewee so it's important not to push too hard. Ask about friendships that they may have had during the war, which may be a more pleasant memory and can help them feel more comfortable with you and with sharing their other experiences. For some excellent guidance on interviewing be sure to read Sunny Morton's article "Interviewing the Reluctant Relative." Again, these are memories that are likely to be quite painful. Sit and listen! Let your interviewee take their time in answering questions and telling their story. Try not to let your own discomfort be revealed as this can cause your interviewee to shut down. By being attentive and interested it encourages the person to keep sharing. Thank the person with a handwritten note or card for their time. If possible, send them a copy of what you write up about the interview. They may think of new details that are pertinent to your understanding of the events that they experienced. "For whoever listens to a witness becomes a witness." ~excerpt from a speech given by Elie Wiesel at Yad Vashem.